Do you love Lent? I do, but a lot of folk don't have all that much affection for the season. Many Christians have come to think of it in negative terms; however, Lent is not about hair shirts, solemn countenances and the like. Rather, it is a positive, strengthening, lovely spiritual experience, and if you want to grow in your love of God and your neighbor, then Lent is for you! Here are five things to do with single-mindedness this Lent which, if you do them, will give you a clearer vision of the Risen Christ, come Easter. The biggest problem we moderns have with fasting and abstinence is one of confusion; that is, we don't really understand them. The priest gets up and talks about what they mean, and when he's done, people are more confused than they were when he started. So, here's a simplified elucidation of fasting and abstinence: Abstinence lowers the quality of food (usually by not eating meat) and fasting lowers the quantity, and usually means not more than a light breakfast, one full meal, and one half meal daily each fast day. Therefore, the rule is "keep it smaller and keep it simpler. " Smaller portions of food, and simpler menus. Don't eat so much during Lent. Not because you necessarily have to lose weight, but because the practice will give you strength in your spiritual life by weakening the attractions of the sensate pleasures. Fasting makes the waistline shrink and the heart get larger, and abstinence makes the heart grow fonder. Indulge in both fasting and abstinence during Lent, and you will have a clearer vision of the Risen Christ, come Easter. For the forty days of Lent, start and end each day with prayer. Read Morning and Evening Prayer and/or Family Prayer. Dust off that old grace you used to say before eating - spend some table time in quiet reflection and prayer instead of chattering and chomping. Pray daily, making sure you indulge in all the qualities of Christian prayer - adoration, thanksgiving, petition, penitence, and invocation. Pray daily, and you will have a clearer vision of the Risen Christ, come Easter. Do this daily, also, and if you haven't availed yourself of reading the Daily Office of morning and evening prayer, you are missing out on the opportunity the Church has given you for daily study and reading of Holy Writ. There's solace, insight, encouragement, grace and a whole lot more in scripture, and that can't be said about any other book in your library. The Good Book is precisely that, and those who read it daily learn how to be good - godly - themselves. 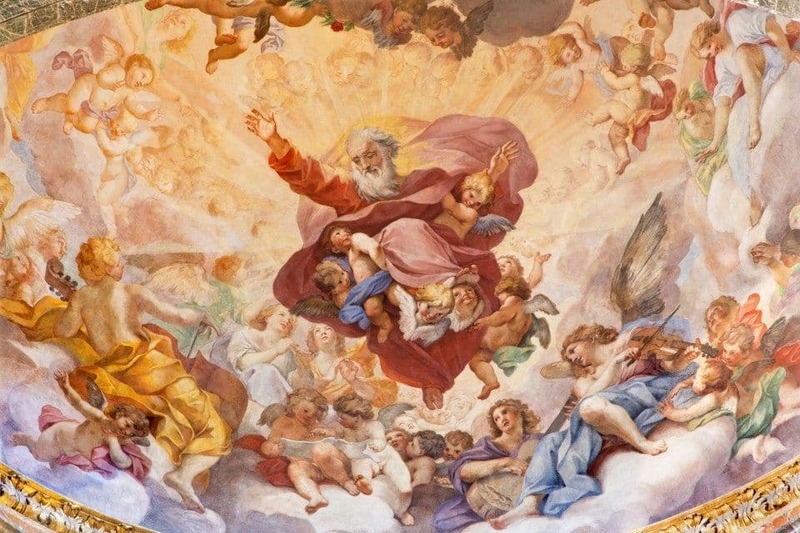 You can read the Bible daily via the Ordo Kalendar's links, or you can avail yourself of the innumerable publications available on episcopalnet.org via paper and electronic books on the Daily Office regimen. Read Holy Writ daily, and you will have a clearer vision of the Risen Christ, come Easter. Corporate worship is a basic Christian duty. Our prayer book puts it succinctly, telling us that part of our bounden duty is to worship God every Sunday in his Church. Doing so brings us understanding, strengthens our faith, gives us hope, fills us with encouragement, and gives us the first-hand experience of being loved by God - and that gives us the ability to love others more fully. There is nothing we can do on Sunday morning that is more important than being in God's House and being fed by His grace-filled presence in the Blessed Sacrament. Make a commitment not to miss one single Sunday in God's House this Lenten season. Jesus told us to this do, (Luke 22:19; 1Cor 11:24-25) so let's do it together, every single Sunday, and you will have a clearer vision of the Risen Christ, come Easter. (1) converting the sinner, (2) instructing the ignorant, (3) counseling the doubtful, (4) comforting the sorrowful, (5) bearing wrongs patiently, (6) forgiving injuries, (7) praying for the living and the dead. (1) feeding the hungry, (2) giving drink to the thirsty, (3) clothing the naked, (4) harboring the stranger, (5) visiting the sick, (6) ministering to prisoners, (7) burying the dead. Finally, and no doubt most importantly, let your Lenten lapses and failures - whatever they may be serve only to increase your dependence upon God. None of us will do all we want to do during Lent. That's the human condition. The point is not to get a good grade; the point is to increase your capacity to love God and your neighbor. 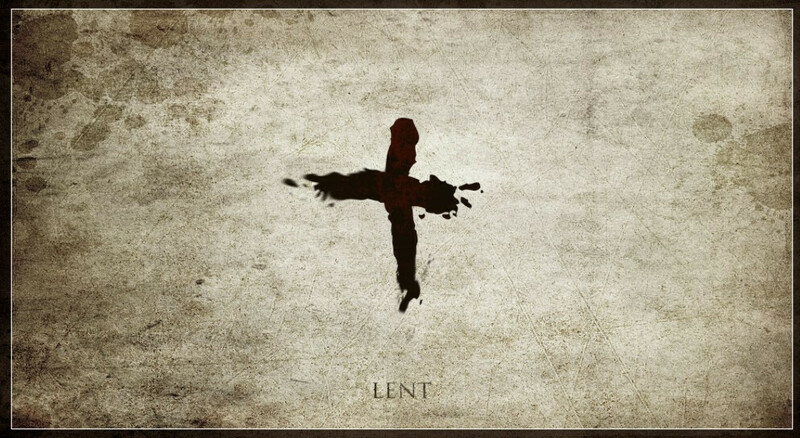 After all, Lent is a time to learn how to love - God's way - once again. That's the whole point of the season!